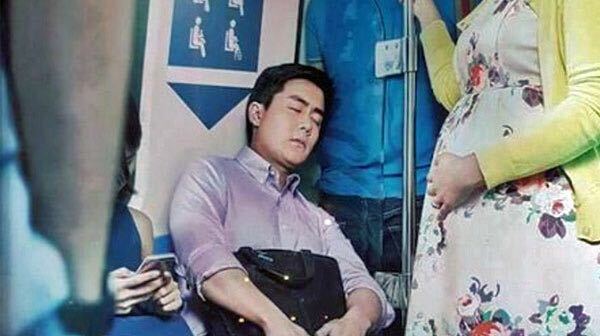 I came to Singapore expecting to be surrounded by uptight conservatives, arrested for chewing gum, and walking on sterilized sidewalks doused in antiseptic. But, as I stepped into the SKM office for the first time, with kindness paraphernalia littering the floor and embellishing the walls, and gregarious members of the SKM team greeting me, all of my stereotypes were shattered. Hi! I’m Sabrina Ma. I am 16 a year old senior from San Jose, California. As a high school student, I’ve faced my share of Goliaths, ranging from intense stress induced by academics competitiveness to self-consciousness induced by the societal depiction of beauty. Desiring to make high school a bit more bearable, I established a club at my school called the Acts of Random Kindness (ARK) Club, which has become pretty impactful in my (and surrounding) communities. Desiring to spread kindness utilizing social media, my friend and I later launched the Independence High School Admiration Wall, a page on which users submit anonymous messages, posted as “statuses,” that venerate fellow students and faculty. Displaying everything from sincere praise to quirky poems, the IHS Admiration Wall, with over 1,300 "Likes" and counting, has not only boosted morale at Independence but also but sparked similar movements at many other high schools. I have been blessed with the opportunity to intern for SKM, whose mission and values correlate with mine ever-so-fluidly. No, I’m not a coffee girl! 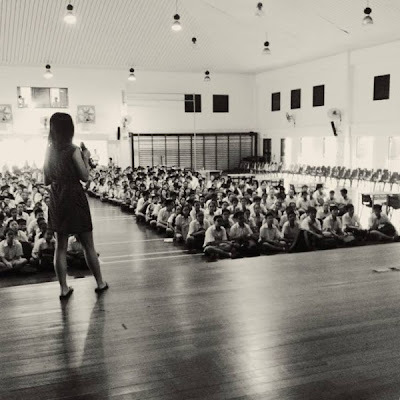 Rather, I have been spreading the message of kindness in Singapore’s highly competitive, academics-oriented secondary schools, where one’s test scores play a gargantuan role in determining one’s identity. Although I’ve only spent 2 ½ weeks in this vibrant city-state, I’ve fallen deeply in love with its cultures, people, and institutions. 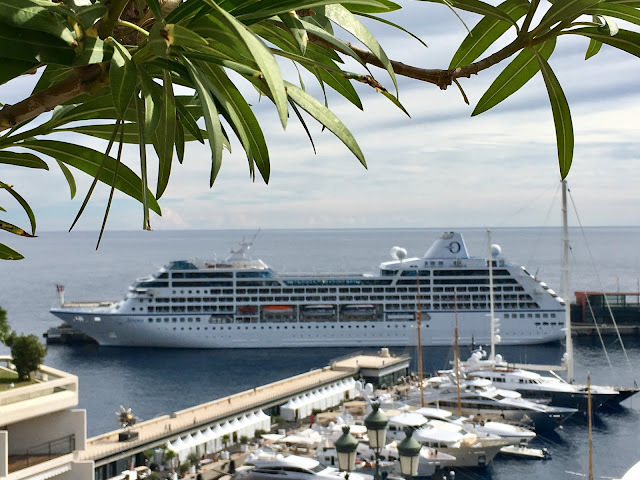 I’ve made myriad memories of my time here, and I would like to share some reflections from my quasi-diary. “You're going to come up with me during the Q&A and help me answer a few questions,” Dr. Wan declared in the taxi. I feigned excitement, but inside, I was terrified. We were on our way to Raffles Girls School, one of Singapore’s top 3 secondary schools, to speak about our endeavours regarding kindness. 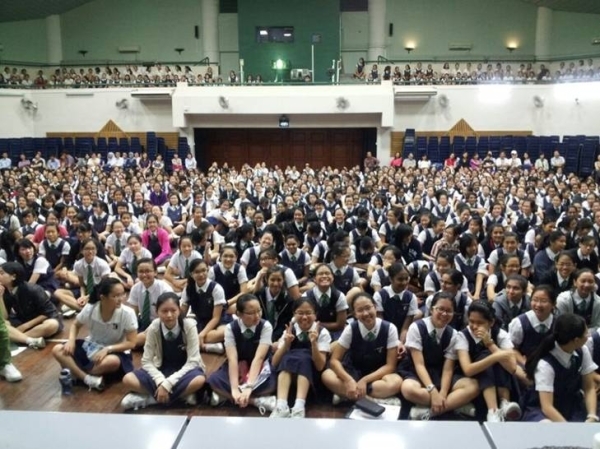 While on stage, I gazed at the sea of teenage girls, hundreds of eyes staring back at me. Breathe Sabrina, breathe. Notwithstanding my initial stumbling over a question or two, I answered most by stating my opinion, sharing a short anecdote, and tying up my response with a motivational bow. 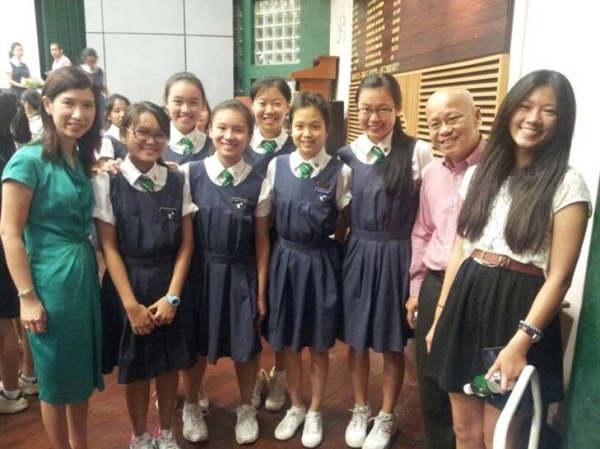 Considering that, having never been thrown impromptu questions, it was an unprecedented experience for me, I believe I did fairly well – mainly because of Dr. Wan's encouragement. Throughout the Q&A session, I was not only impressed with their impeccable manners and insightful inquiries, but delighted by their constant giggles and cheers. The girls’ hospitality and attentiveness were acts of kindness in themselves and I have the utmost gratitude for the young ladies at RGS! Do not be surprised when the tabloids announce that Dr. Wan’s long-lost granddaughter has reappeared; the emcee announced to the crowd that I was Dr. Wan’s granddaughter, inducing lots of “AWWWW”s and cheering. Hehehe! After the event, I wondered how I improved my public speaking skills in such a short time, but in retrospect, I’ve unearthed the most prominent factor. While on stage, I was actually speaking to myself. Looking at the crowd was like looking into a mirror; it consisted of ambitious Asian teenagers only a few years younger than me (and many my age) who were juggling teenage angst, adversity, rigorous academics, extracurriculars, happiness, and expectations – but not always successfully. Sharing with my peers at RGS lessons I had learned about failure, resilience, and kindness was just great. I’ve clicked over 40 “Confirm Friend Request” Buttons from RGS gals on FB and Instagram. I’ve also found myself close to tears as I read the heartfelt, appreciative messages some students sent me. Some girls also took the initiative and created an RGS Admiration Wall, enthralling me that they were inspired enough to join me in the crusade for kindness via social media. All in all, an unforgettable morning. 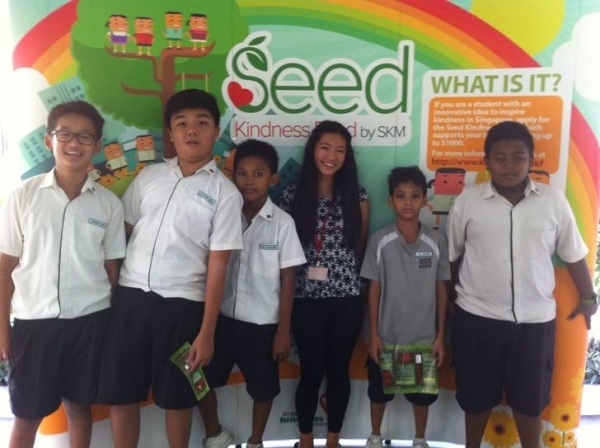 I spent my morning at Northland Secondary School, spreading awareness about SKM’s Seed Kindness Fund with Ting Wei and Wei Wen. As the morning droned on, I became tired of waiting for students to come to our booth. Finally, I garnered my courage and started to approach tables of students. It was quite fun to watch girls widen their eyes when I said I was from California and boys giggle and divert their eyes when I smiled at them. Lots of students seemed intrigued by the project, some even asking to take a picture with me. I have had a grand time speaking to large audiences of students, but interacting with them face-to-face is much more exciting! I did have my low points and nadirs, however. A handful of groups simply ignored me or shooed me away. As I walked into the bathroom, I saw two green pamphlets in the trash can – pamphlets I had handed out. I'll admit, that stung a little, but I quickly shook it off. Throughout my high school journey, especially regarding ARK and my aspirations, I’ve received lots of criticisms and rejections, ranging from ARK being called a “stupid club” to my career goals denounced as “unpractical” and “soul-sucking”. Just as bodybuilders utilize resistance exercises to increase their strength and metabolism, I have learned to internalize negativity and transform it into character and resilience building. One mustn't take rejection and failure personally. As Mark Zuckerberg once said, “When you want to change things, you can’t please everyone. If you do please everyone, you aren’t making enough progress..” Since failure induces learning, I find it just as, if not more, pertinent than success. Tropical rain kissing the concrete and foliage outside, sultry jazz waltzing in my ears, I sat on the couch, pounding away at my laptop. I lift my arms up, indulging in a stretch – and knocked over one of Dr. Wan’s crystal trophies. At that moment, lots of things ran through my mind. Devastation. Embarrassment. Fear. We cleaned it up, Dr. Wan remaining optimistic and cheerful, vacuuming the area to make sure there are no remnants of sharp crystal fragments. The flat soon became quiet, everyone stealing away to their room... except me. 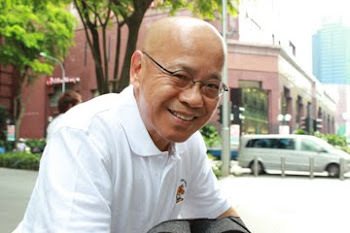 10 minutes after the incident, Dr. Wan came back outside and gave me a bear hug, urging me not to think about it, because “people are so much more important than things”, he announced. I cried a little later that night, not because of my guilt, but because I was so happy about Dr. Wan’s unwavering magnanimity. He proves that acts of kindness need not always be overt. Some of the most impactful gestures are done subconsciously through one’s disposition and manners. After work, I went to Little India and ran a few errands. I stopped by the nearest shopping complex and purchased a flower as a gesture of apology for Aunty Ruth, for I felt awful for stressing her out that morning (I had overslept). Giddy about the flower, I grinned like an idiot on the MRT, flashing huge smiles at every wayfarer. One passenger, a young professional in his 20's, may have taken my elation the wrong way. I beamed at him a few times, inducing him to perpetually stare at and eventually follow me... all the way home. Perhaps he lived in the area. But the walk from the MRT station is rather lengthy and winding, and he trod the exact same path I did. Luckily, I arrived home safe and sound. 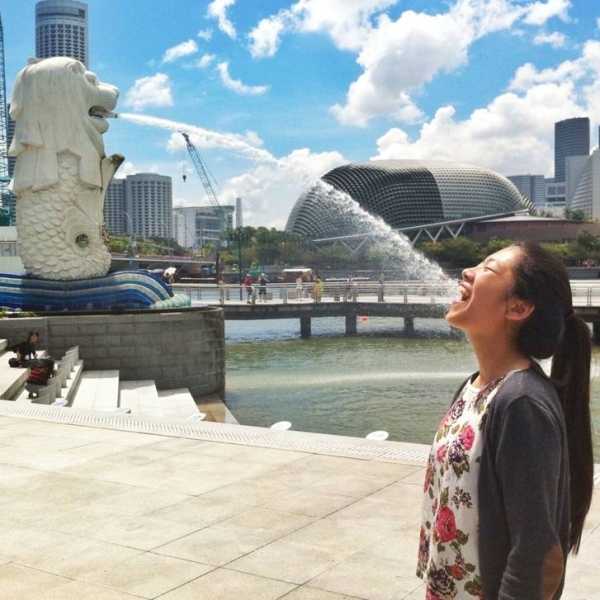 Singapore may only be a “little red dot” on the world map, but it has made a massive impact on my life. 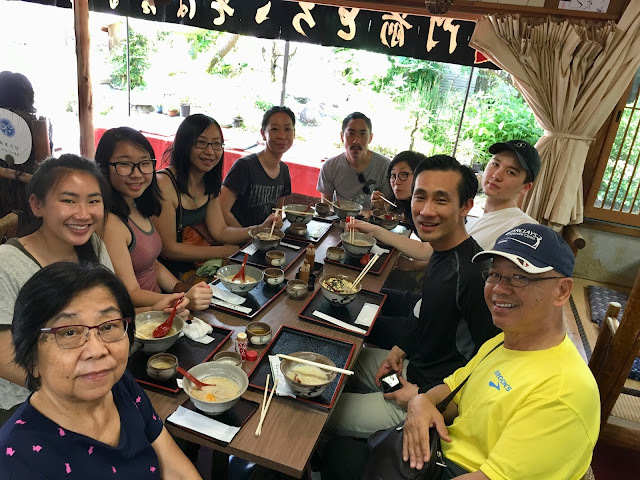 I have come to love the “lahs” sprinkled throughout conversations, the bipolar, one-minute-its-storming-and-one-minute-later-its-sunny weather, the fresh fruit juice stands, the delicious food (chilli crab... stingray... chicken rice... mmm! ), the vibrant, multifaceted culture, and so much more... I am returning to the States tomorrow, but Singapore has definitely not seen the last of Sabrina Ma, lah!